Everyone has difficulty hearing certain types of feedback. Effectiveness and acceptance of any review depends on the review itself, the giver and receiver. So often there’s the question of objectivity. 360 Reviews adds more people to the mix to give a more legitimate view of a person’s performance or fit. This seems to put a lot of burden on everyone involved and writing styles hardly makes it anonymous. Instead, performance evaluations can be simpler: a list of traits everyone gets rated on. the burden of articulating qualities be removed from the reviewer, employing collection methods that resemble popular trait tests that spits out final list of traits for them. With enough input, as Mr. Pausch says, that’s hard feedback to ignore. Leadership takes more than confidence, industry knowledge and decision-making smarts. It is more than a bundle of traits and knowledge applied to managing people. Looking for self-help lists for becoming a leader? You will find body postures, power moves and negotiation tactics to practice. These are all proven to help project power to some extent, but for someone newly appointed to a leadership position, if they have nothing else, they will need to apply these as a ‘fake it till you make it’ strategy until they see themselves as leaders. While researching hurdles women face for success in the corporate environment I found one of the best articles I’ve ever read on the subject, “Women Rising: The Unseen Barriers”. This article discusses the developmental needs of any individual to stay successful in higher ranks once placed there. It is hard not to be reminded of awkward teens experimenting and proving their identity. We are ‘teens’ at any new thing we’re trying, and it's OK. This process is under-appreciated in corporate initiatives because we not only tend to give leadership to those who look like leaders on the outside but also because the process of developing those who do not seem like natural leaders takes wisdom and time. This process involves mentoring by current leaders, practicing patience by the entire organization, and a culture of understanding that, even as adults, we need time to try our new legs out. How do you define a win? When starting any project we mentally go through thinking about where we are now, what the goal is, how to get there and what the affirmation that we’ve hit the goal looks like. We often think about a ‘win’ as getting the award, credit, money, respect for a job well done, a goal completed or the competitive defeat of another. These affirmations are often what drive us to work hard or at the very least give us a point to focus on during the most grueling parts of a project. Not all situations afford us these affirmations. Our efforts don't always get us to our imagined goal. It takes a flexible mind to know when to change the orientation of focus or the definition of the ‘win’ to not feel the extreme of defeat. It takes wisdom, especially for someone with extreme passion or competitiveness, to know when to employ this way of thinking to digest the non-perfect outcome of an effort. A recent project created by Al Jezeera America, What's in a Name, invites users to tell the story of their name and explore the meaning of others' names, and how they relate to identity. Reading through the submissions shows how names can be laden with meaning, origin stories and history. What people are called can tell an elaborate story about them, their history and their culture. This project resonated strongly with me. My mother chose to name me Jo ana and to spell my name this way specifically to show my preciousness when she feared another sad ending to a pregnancy. When someone gets my name wrong, of course I take it in stride; I have grown accustomed to correcting spelling and pronunciation. However, I do make special note of when someone gets it right. It shows they are present in their work and notice the little things. In an increasingly global world, we are all exposed to names whose spelling and pronunciation might be foreign to us and with increased communication responsibilities, it is easy to not pay attention to the details, like how someone spells their name. While we can all be forgiven for mistakes in this era overrun in-boxes, paying attention to the names of your coworkers, consumers and everyone else you come into contract with can create a large impact from such a simple gesture. I was recently researching the use of Key Performance Indicators (K.P.I's) in keeping individual teams aligned with overall business objectives. When starting to learn about K.P.I's, an easy illustrative introduction of what a system would look like would be great. "...Talk about reform — in Dubai, the government has set a strategy for 2021, and each of the 46 ministries and regulatory agencies has three-year Key Performance Indicators, or K.P.I.’s, they have to fulfill to get there, ranging from improving the success of Dubai 15-year-olds in global science, math and reading exams to making it even easier to start a new business. All 3,600 K.P.I.’s are loaded on an iPad dashboard that the ruler, Sheikh Mohammed bin Rashid, follows each week. Maryam al-Hammadi, 48, the director of government performance, strikes fear in the heart of every minister in Dubai because each month she ranks them by who is making the most progress toward achieving their K.P.I.’s, and Sheikh Mohammed gets the list. You don’t want to be at the bottom. Hammadi showed me the dashboard and explained that Sheikh Mohammed is demanding that “every government agency perform as well as the private sector in customer satisfaction and service.” The public will get an annual report." I also like that a powerful woman is at the hub of reporting. 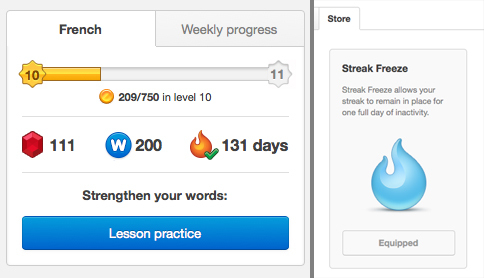 The Duolingo dashboard keeps track of your streak. You can 'buy' a free day, but they are expensive. I’m trying to learn French with the help of Duolingo. Duolingo has done the work of knowing what business it is in, and its not Language Education. Its Resolution Keeping. It knows its business intimately and evidently invests in building an experience to help its users keep their resolve. 1. The Streak - the numbers of days you’ve consistently practiced. With a streak there is no wiggle room. Either you practiced or you didn't and nothing is more motivating then keeping your days-in-a-row count from going back to a very depressing "0". 2. Achievable streak-maintenance. In order to get a day’s practice to count, you must complete a lesson. Lessons are short, Duolingo access is everywhere. 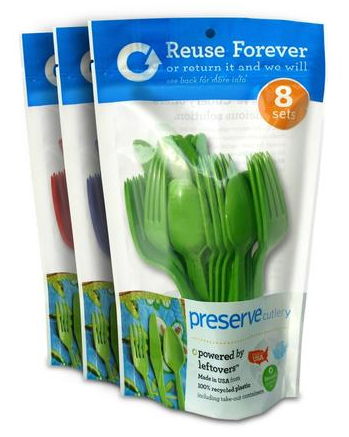 This is an example of user-centric business and design. They will continue to succeed because its end user's do. I recently had a welcomed use of the information I gave out. At Vin Chicago a wine store, immediately sent me an e-newsletter called "Grape Notes", that gave me information and pairings on my most recent purchase. Not only would I give them my information again, I will read the next thing they send me and I will tell my friends about their business. Thank you very much for your business!, Vin Chicago"
At this year's An Event Apart, Chicago, one of my favorite talks was "Delightful Details" by Adrian Holovaty. Creating a delightful experience requires approaching a project with an attitude of service and empathy toward the end user. 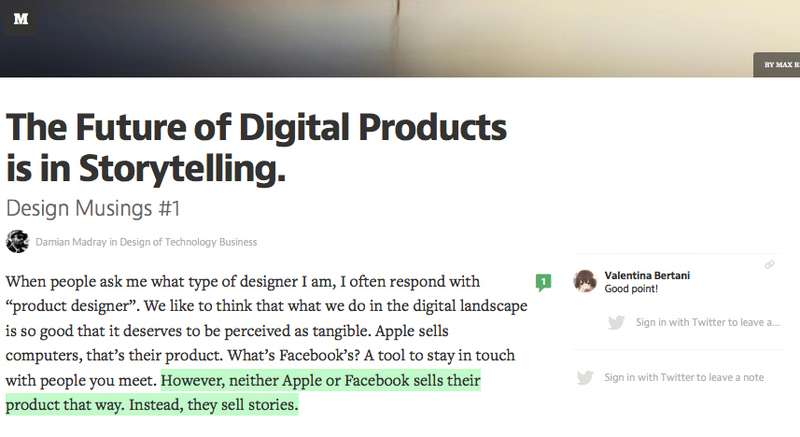 We must think and anticipate, the with great detail, about the user's needs and experience. Holovaty discussed how Hotel Tonight app creators successfully pared down for the end user booking a hotel in so few, easy steps, people were inadvertently booking hotels in their pockets. They had to add a final step before booking - to trace the outline of their logo with your finger. What a great solution for a problem I wish more company's had.